The data the users needed was often available on the site, but there were issues because it was not easily findable or manipulable. The agency has addressed this problem by allowing users to locate data via search and interactive maps about a particular office, country and project sector. 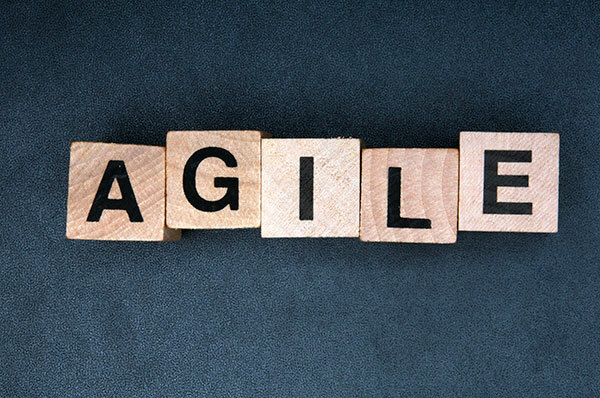 The office has been redesigning the website using an agile methodology since the launch of this project. The needs of the user have been the primary concern of the website redesign. “Throughout the redesign process, end users were involved and helped direct the style, navigation, and features of the site”, said Klein. “We explore all of the feedback received, discuss with the team, and determine if it adds value. We realized that FA.gov could not meet every need of every stakeholder, but we were able to settle on key themes, and build those into the site.” The office actively seeks out information from the public. Currently, a beta version of the new site is live and allows for users to provide feedback about the new site. 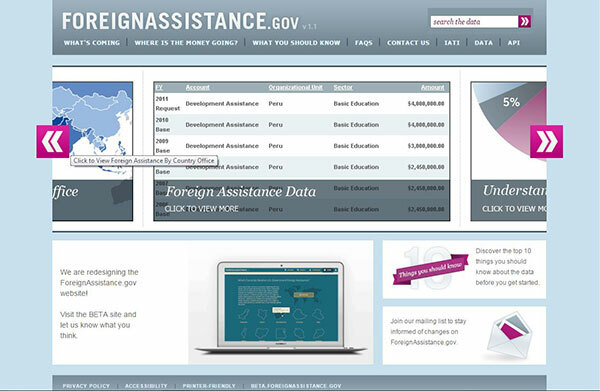 In order to better understand its visitors, the Office of the U.S. Foreign Assistance Resources developed personas. “We conducted multiple meetings with these end users to understand how they would like to use a redesigned site,” said Klein. 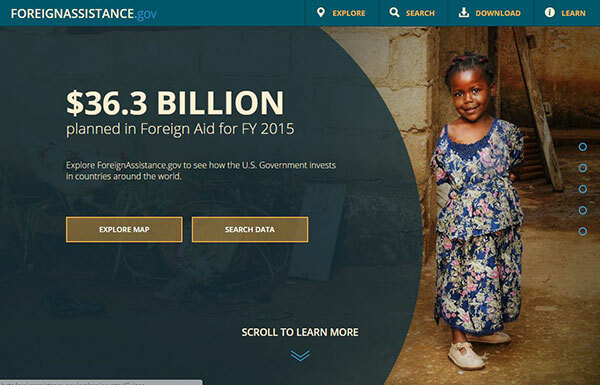 “We found we had two main types of audiences: The first group already knows foreign assistance and wants to quickly download the entire dataset and conduct analysis using their own tools, and the second group is comprised of foreign assistance novices who want the site to provide easy-to-understand charts for high-level questions.” With the personas, the office was able to make decisions concerning layout and content that would be most beneficial to the end users. The new website design is simple and intuitive. When comparing the amount of time it takes do a specific task on the new site versus the old site, it takes less clicks and is more engaging visually. The new design addresses all the issues that the agency discovered from user feedback. The old website provided links to information that people were not necessarily looking for during their site visit. The users had to click on several links to find the data that they were searching for. The new website has a simple, clean interface that is visually engaging. The site provides direct links to information that satisfies the needs of the site’s two primary end users.